In Green class, we have been learning what it was like to be a Viking craftsman, by weaving our own baskets. 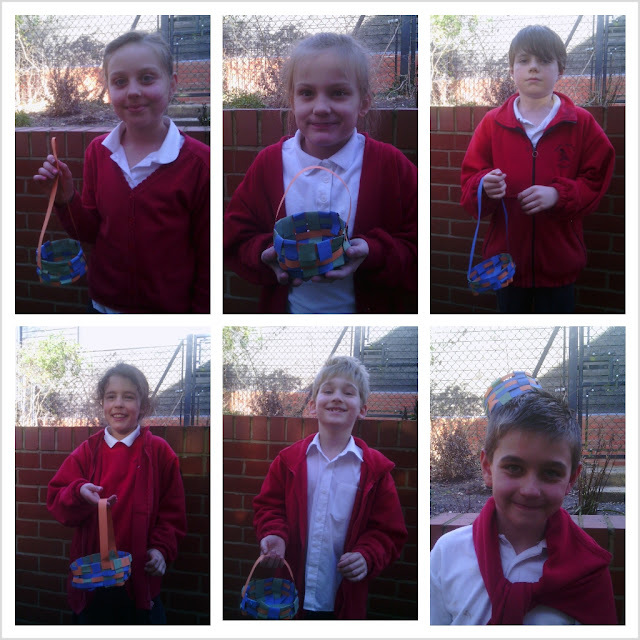 A small group of children have been trying their hand at weaving with willow, but still have quite a way to go with their baskets. 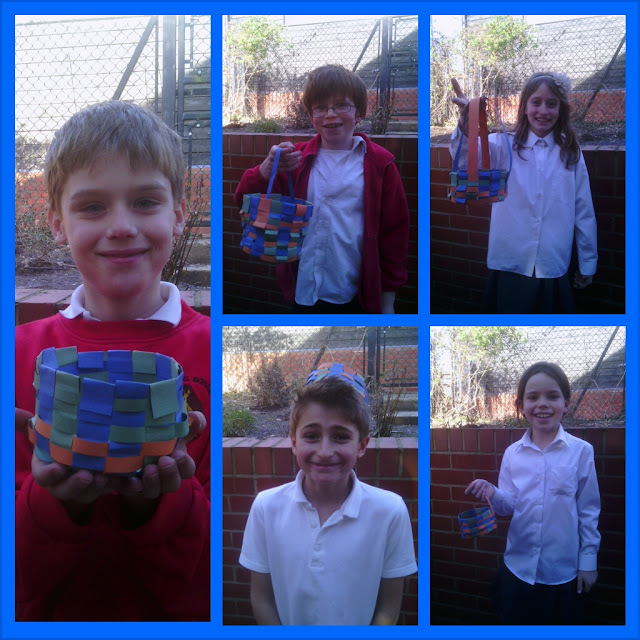 Others have been making baskets out of woven paper. 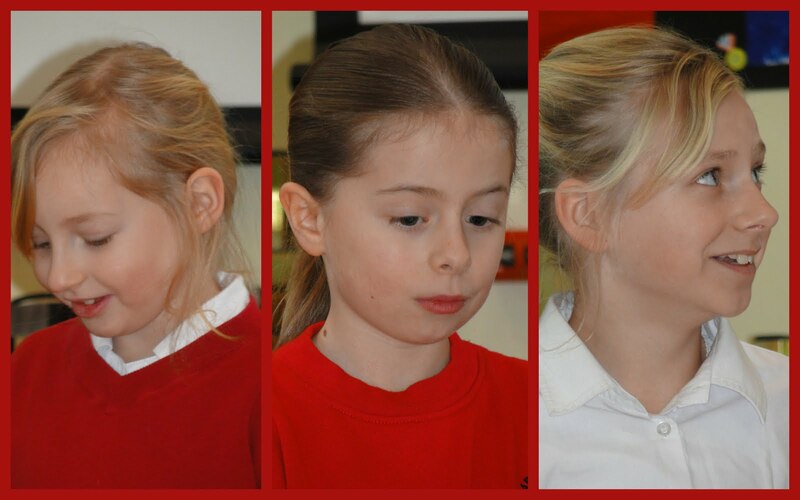 These are some of the results. 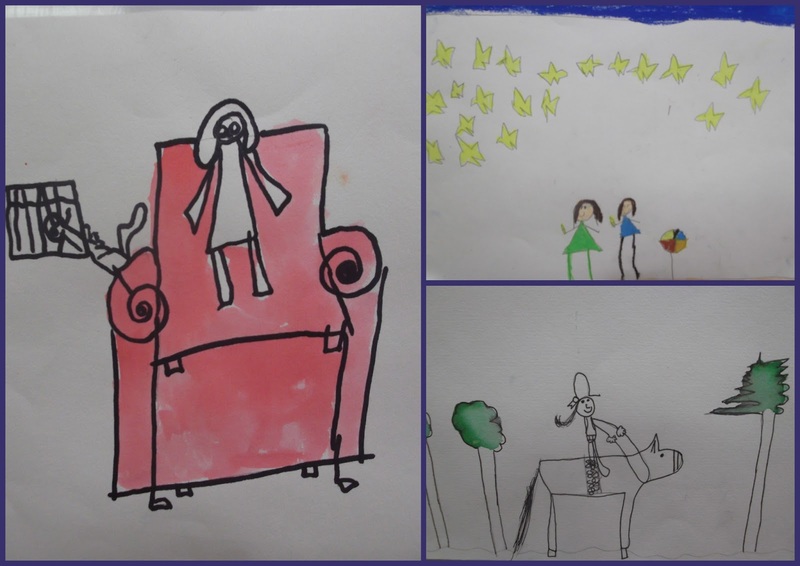 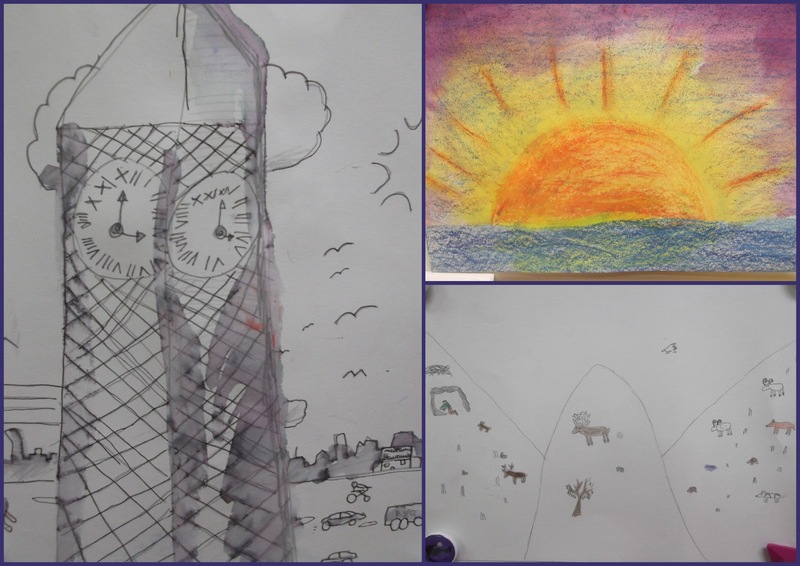 Below are our entries for the Young Art East Anglia 'Magical Moment' Art Exhibition and Sale in aid of Cancer Research UK. 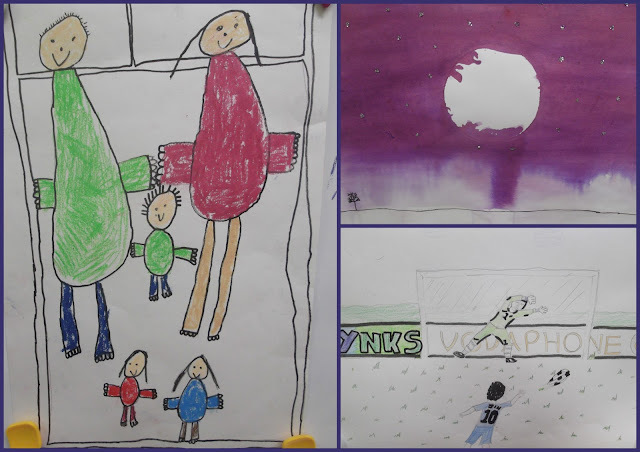 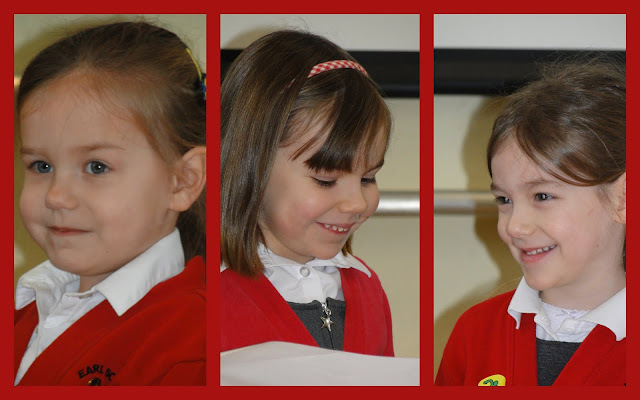 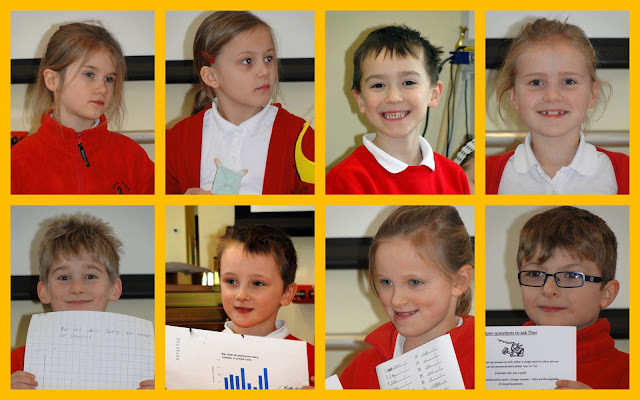 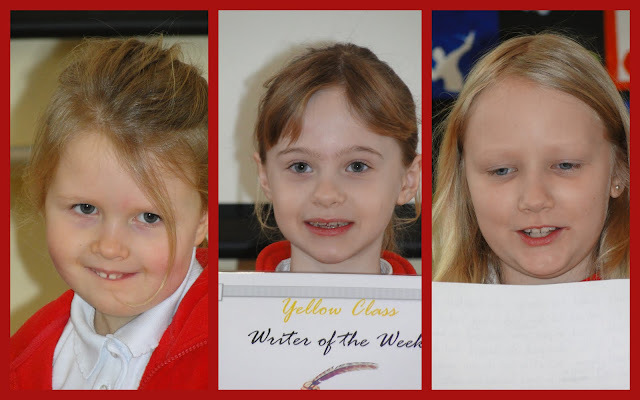 They have been created by children throughout the school and every single one has a marvellous tale to tell! 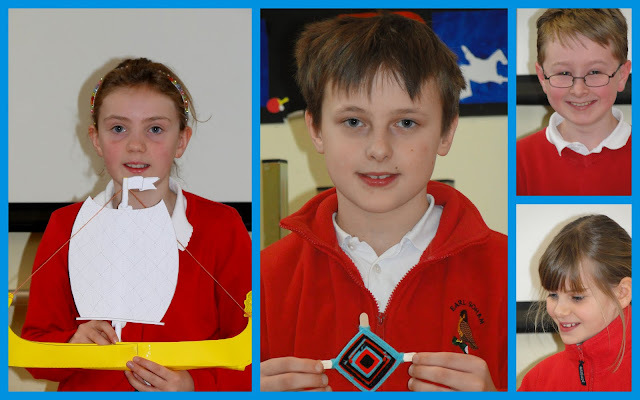 They will be on show at the Peter Pears Gallery in Aldeburgh on the 8th, 9th and 10th March. 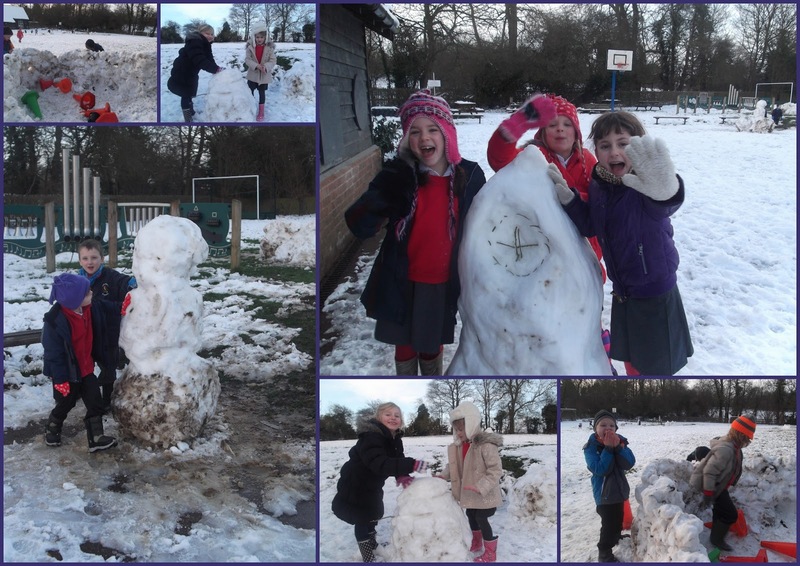 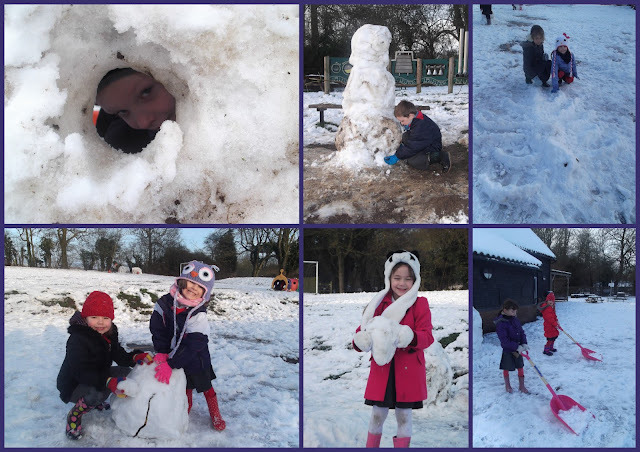 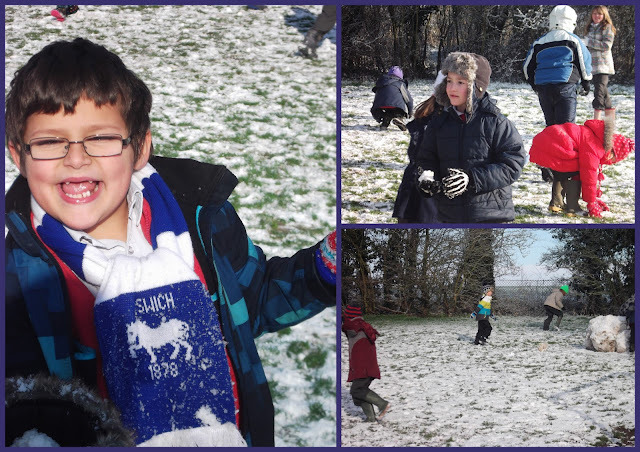 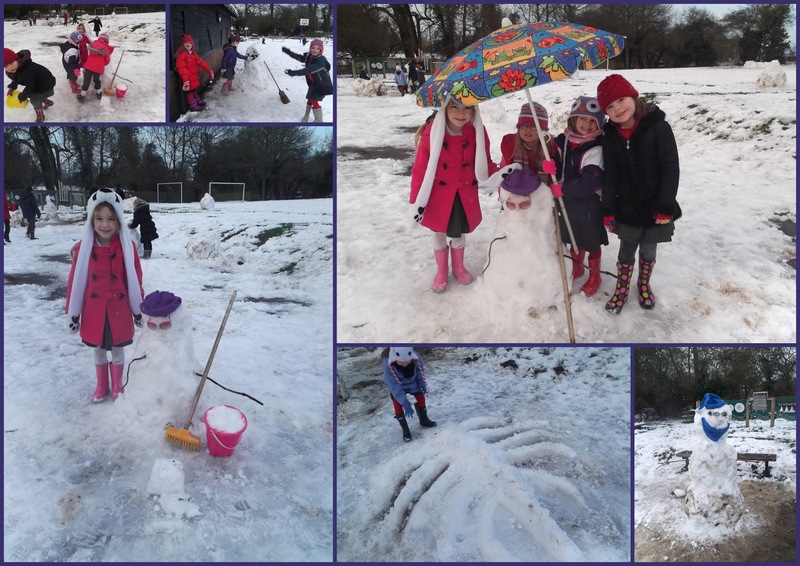 This afternoon, Orange Class made the most of the current weather conditions to create a range of sculptures using the medium of snow! 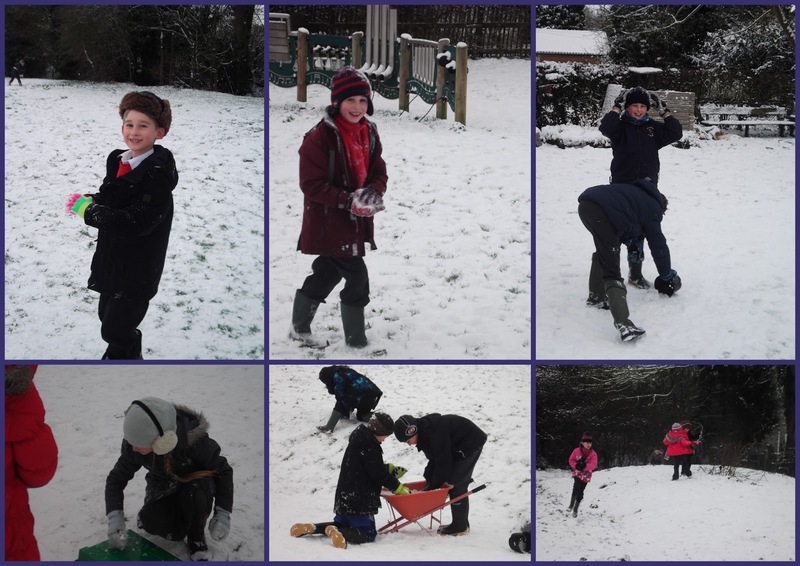 The school is open today, we are currently clearing the paths as well as we can. 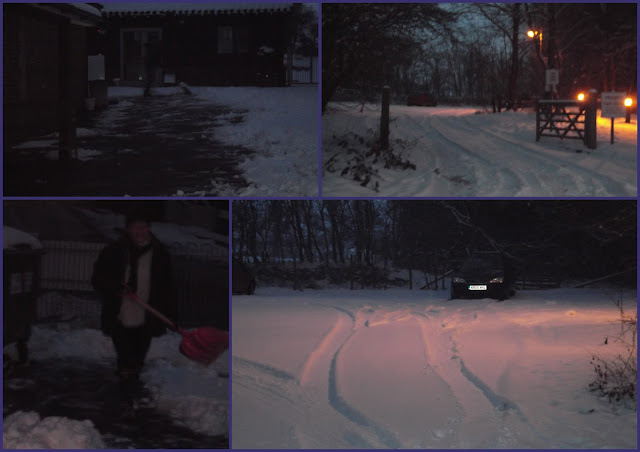 The car park has a thick covering of snow making manoeuvring extremely difficult. 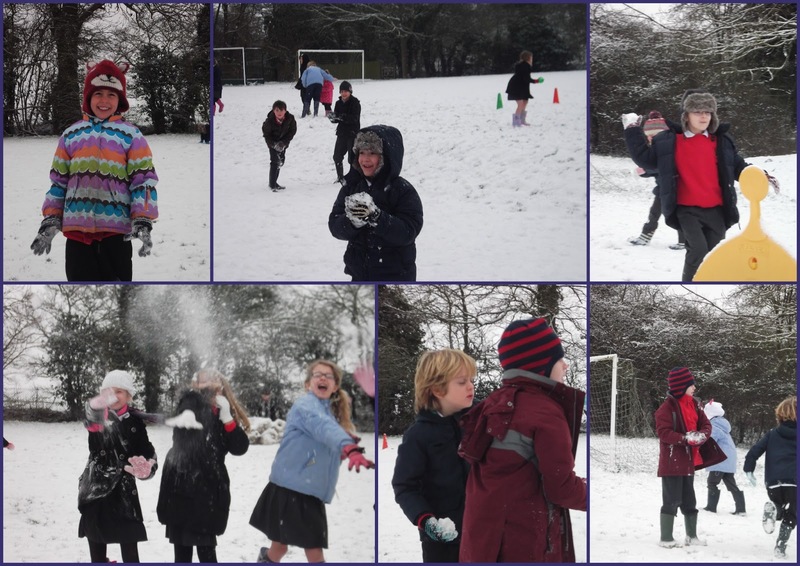 Having assessed the road conditions, the school site and following consultation with other headteachers in the area, I have decided to close the school today. 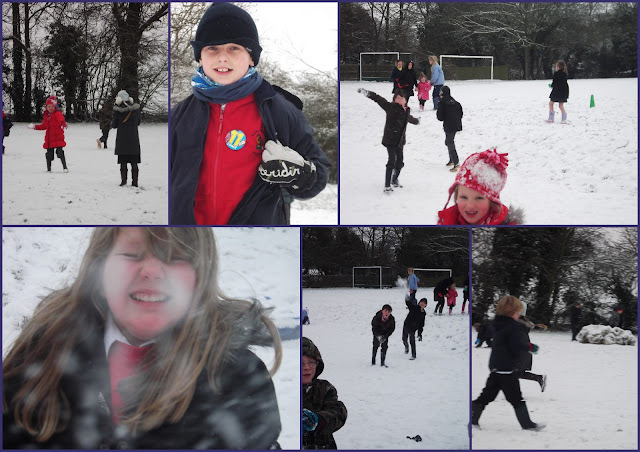 Yet again, children (and staff) made the most of the freshly fallen snow at break time. It was an interesting way for one young man to spend his birthday! The school is open today. 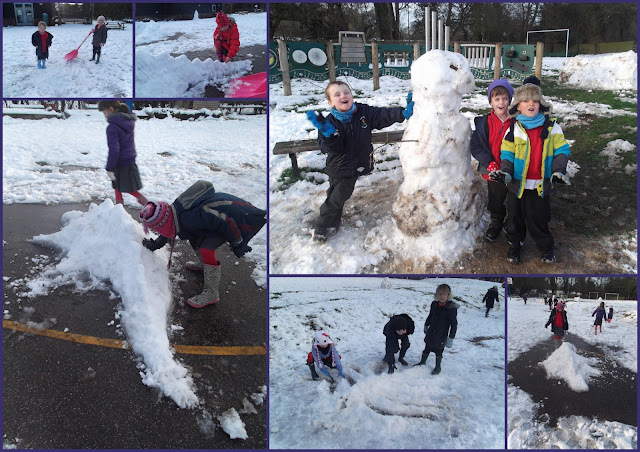 A warning that the car park is 'not good' and I'd advise against using it having got stuck at the top and my car refusing to go in a straight line. We will keep the registers open until 9.30am to try to ease problems. 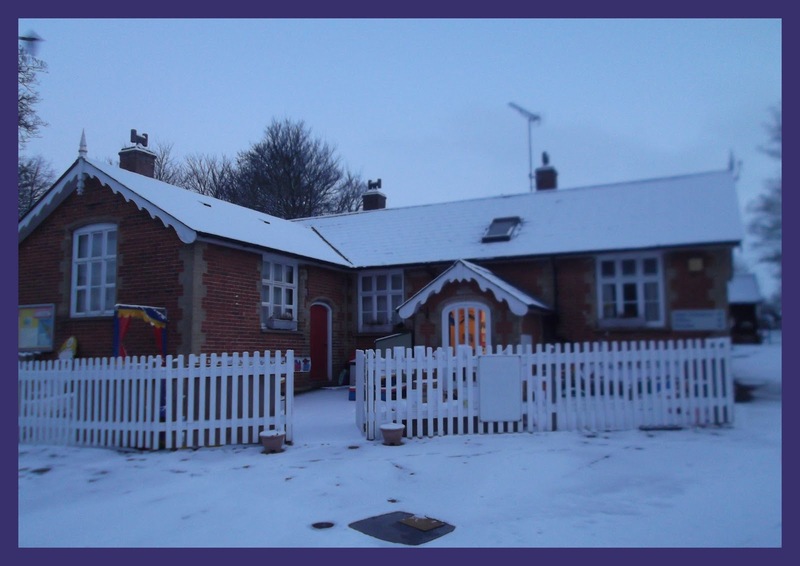 There is also a car parked right opposite the school entrance making things more difficult. 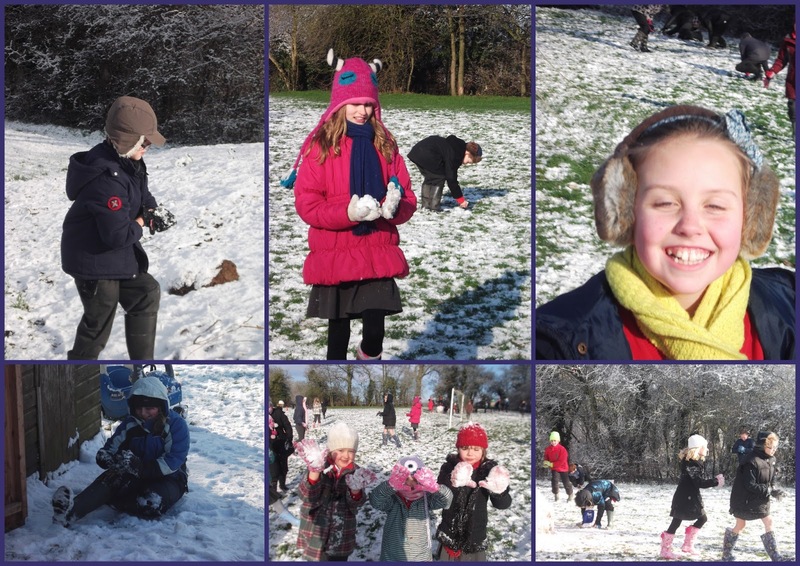 There will be no assembly this morning and this evening's film club has been cancelled.